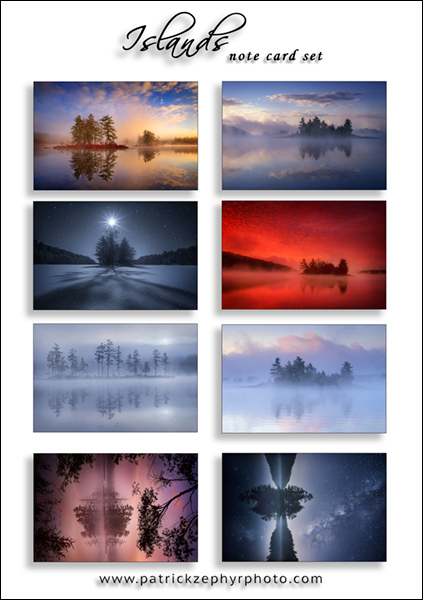 This set includes 8 different Islands images (one note card of each image above) packaged in a clear box with this image on the cover. Envelopes are included. The location where the image was captured is on the back of the card.